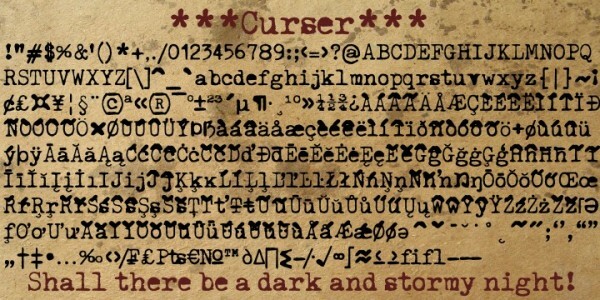 Curser is a different font that it looks straight out of an old time typewriter machine. It has a typical oldish-looking typewriter look. 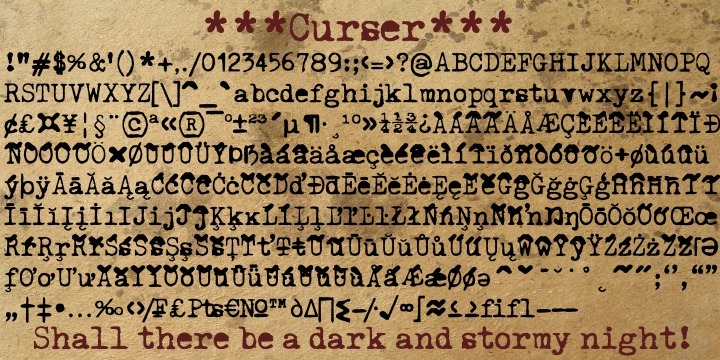 The decayed and scary appearance gives it an edge over other traditional fonts. The special characters embedded into this font give an expression that they have been fashioned using the common keys and moving the paper. The curser provides excellent support for West and Central European languages including Turkish, Baltic, and Romanian.